Boston Red Sox pitcher David Price suffered a wrist injury during Wednesday's game against the Miami Marlins. According to Chris Cotillo of Mass Live, Austin Dean drilled a 102.6 mph line drive off Price's wrist that forced his exit. Cotillo noted the Red Sox called the setback a left wrist contusion, although the southpaw will undergo further evaluation. "Price first mentioned the issue April 11 after he allowed four runs in one inning against the Yankees at Fenway Park, saying his hands have long had a circulation problem and that the cold weather exacerbated the issue and made it difficult to grip the ball." The southpaw also dealt with an elbow issue during the 2017 campaign and made just 11 starts, the lowest total of his career since he made just one as a rookie in 2008. 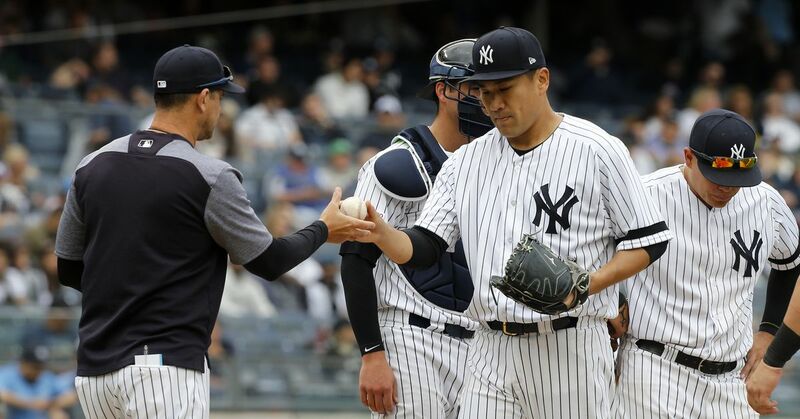 The Vanderbilt product has an impressive resume that includes the 2012 American League Cy Young Award when he was on the Tampa Bay Rays and five All-Star Game appearances. He also led the American League in ERA in 2012 for Tampa and 2015 for the Toronto Blue Jays and Detroit Tigers. However, he has struggled to replicate his dominant form since he signed with the Red Sox prior to the 2016 season. Price finished 2016 with a 3.99 ERA, dealt with injuries last year and has a 3.50 ERA in the 2018 campaign. This is also worrisome for the Red Sox because ace Chris Sale is already on the 10-day disabled list.